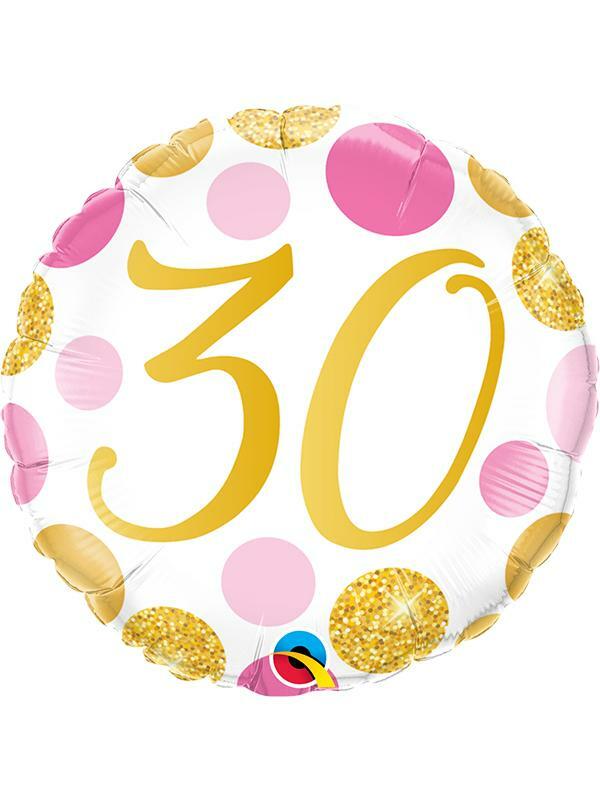 Celebrate an 30th birthday party in style with this white, pink & gold foil 18" balloon. We’re really sorry but we can’t send your helium balloon inflated as it would be too large to post. This means that your balloon will arrive deflated, so you can choose when to add the helium. Price includes being inflated with helium in our Maidstone store.